England Manager Gareth Southgate has named a 25-man squad for the upcoming European Championship qualifiers. One of the major inclusions to the squad is that of West Ham midfielder Declan Rice. The 19-year-old was given clearance by FIFA to switch allegiance from Ireland to England last week after his decision to commit his future to England. Rice was bizarrely named the Irish Young Player of the Year and would be looking to make his debut for England in the next round of international fixtures. Everton stopper Jordan Pickford retains his spot as the number one of the national team. 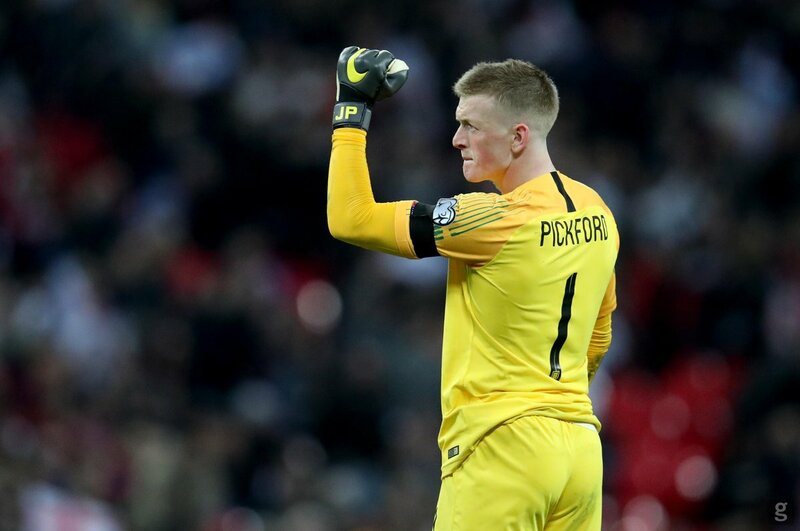 Pickford has not enjoyed the strongest of seasons and leads the league with the most errors leading to goals. However, his World Cup exploits sees him retain his position ahead of Burnley’s Tom Heaton and Stoke City’s Jack Butland. Manchester City midfielder Fabian Delph is a surprise inclusion as he has struggled with injuries and lack of playing time in recent weeks. However, Southgate justified his inclusion insisting that Delph always performs for the National team. James Maddison is also part of the squad the former Coventry City player now with Leicester failed to make the cut but was called up to represent the England u21 team. The usual suspects at the back made the cut with Kieran Tripper inclusion causing a sharp divide due to his poor form of recent. John Stones was also called up despite currently injured according to Manchester City. The attack line is filled with quality with team captain Harry Kane leading the line alongside in-form Manchester City star Raheem Sterling. England have enjoyed a renaissance since Southgate took over two years ago as he led the nation to an unlikely fourth place finish in the 2018 FIFA World Cup. England would also be participating in the last four of the UEFA Nations League later in the year.